Lilly Pulko earned her RN license after graduating from nursing school at Emory University in 2008. She has worked in three specialized areas of nursing: Neonatal Intensive Care, Medically Fragile Daycare, and Pediatric Hematology & Oncology. She became passionate about improving care for babies with medical conditions after they have been discharged from the hospital. When all medically fragile daycare businesses in Georgia closed in 2015, Lilly decided to create a new childcare model to address the absence of services. Discovering that inclusion education is strongly supported by research and identifying its benefits for families, Lilly's vision to combine all children of different developmental and physical abilities in one setting became a cornerstone of her new model of care. Hello, my name is Lilly Pulko. I own and operate Harmony Children’s Village, which is my dream becoming a reality. I’m a mother of 3 little girls and a pediatric nurse. My early career as a nurse in the NICU (Neonatal Intensive Care Unit) gave me an incredibly rewarding opportunity to be a part of parents' lives during a heart-wrenching time while their babies were sick. I helped many parents learn how to continue rehabilitative care for their babies when they were discharged home. For example, they learned how to give breastmilk or formula through a feeding tube, how to use apnea monitors, how to stimulate development after premature birth and other, more complex medical interventions. After the birth of my first daughter in 2010 I became passionate about the care these babies needed after they went home from the NICU because it was hard to imagine what I would have done if my baby needed more specialized caregivers when I returned to work. I have always loved being a nurse, and our family relies on my income and benefits, so it’s hard to imagine how difficult it would be to sacrifice my career. But that is what many parents end up doing out of necessity when they take home a baby with medical conditions. 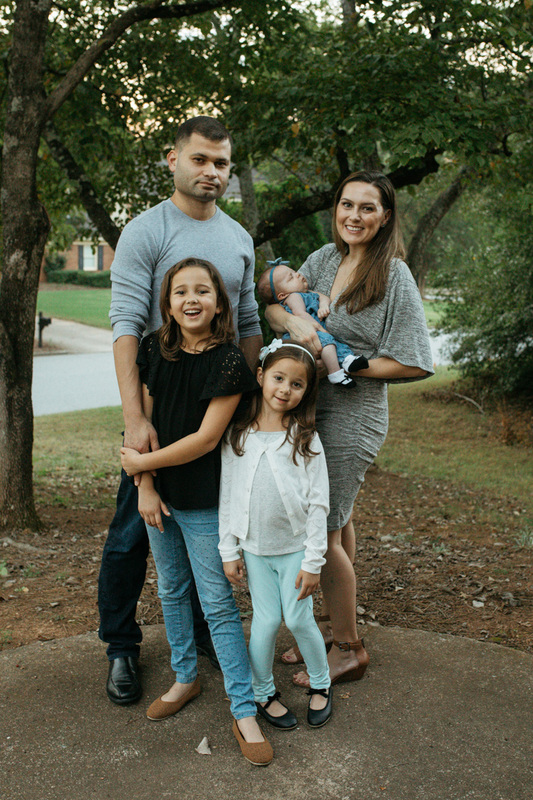 Lilly lives in Roswell, Georgia, with her husband Alex and their daughters. We can do so many amazing things in the hospital to save preemies, correct heart abnormalities, support breathing problems and treat genetic conditions. But we do not have amazing childcare options for these babies after they go home. That’s the reason I’m so passionate about creating Harmony Children’s Village. I want to help families find balance during a very delicate time in their lives as they raise their infants and toddlers. And I believe doing so in an inclusive environment, where everyone learns together, is the best way to do it. It’s the type of childcare I would want for my baby if she needed nursing care in addition to a loving early learning environment. Thank you for your interest to learn more about Harmony Children’s Village! I hope your family or another family you know will benefit from our new model of care and become part of the village. The Pulko family: Alex, Jane, Violet, Lilly and baby Eloise, born in August 2018. Photography by HeatherLynn Gonzalez, HLGPhotography.com.